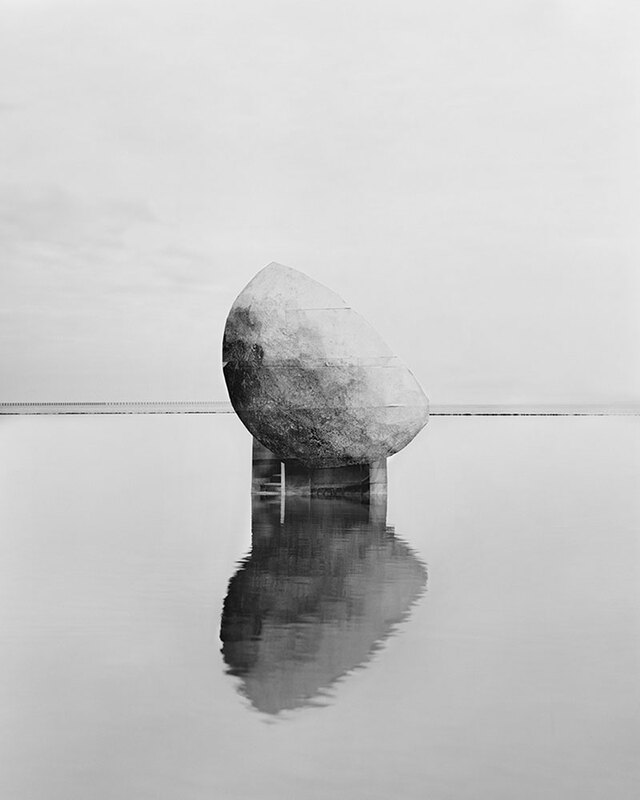 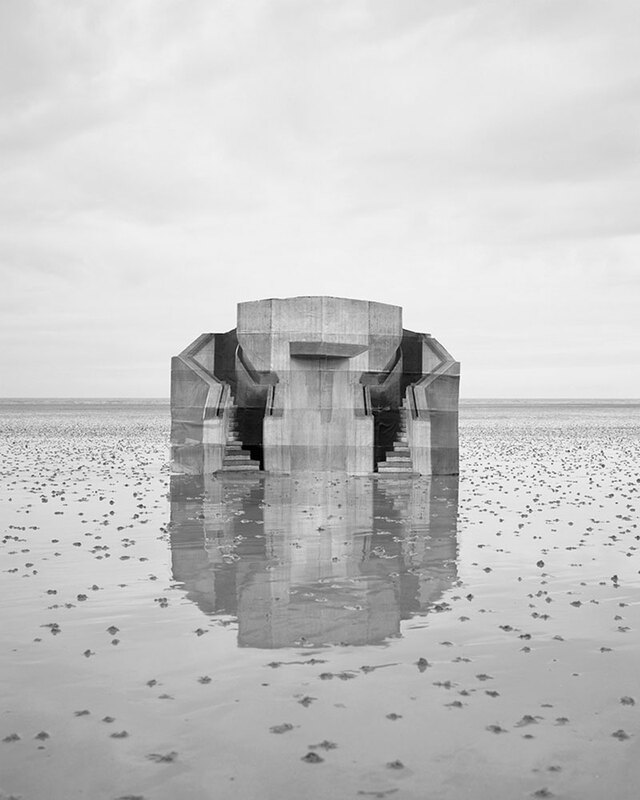 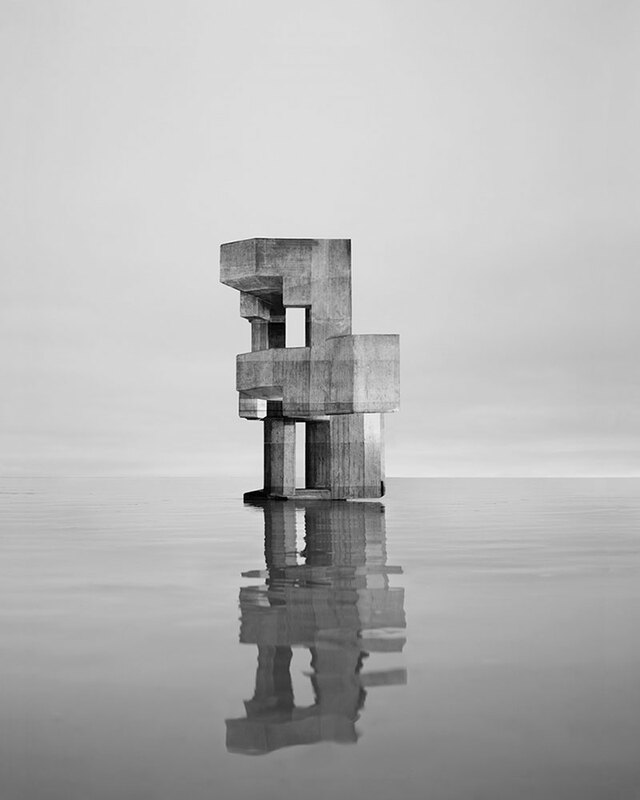 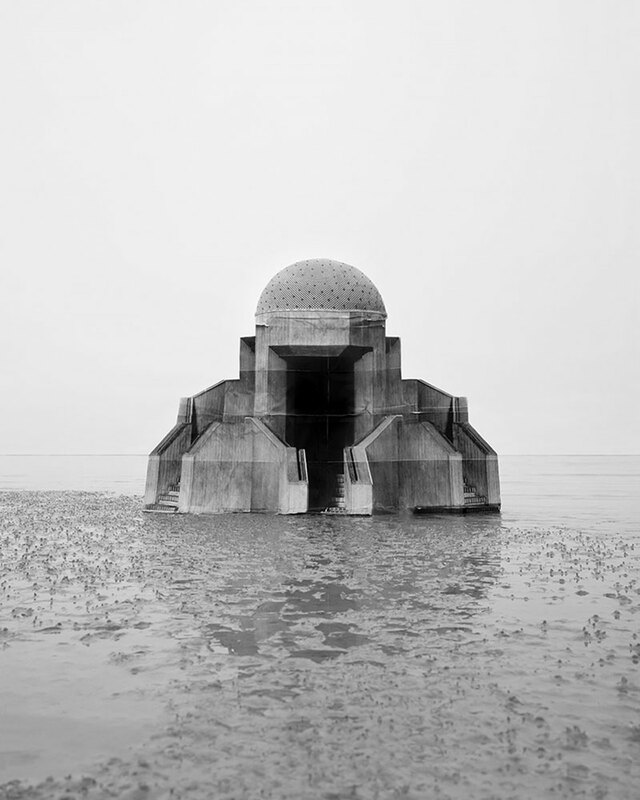 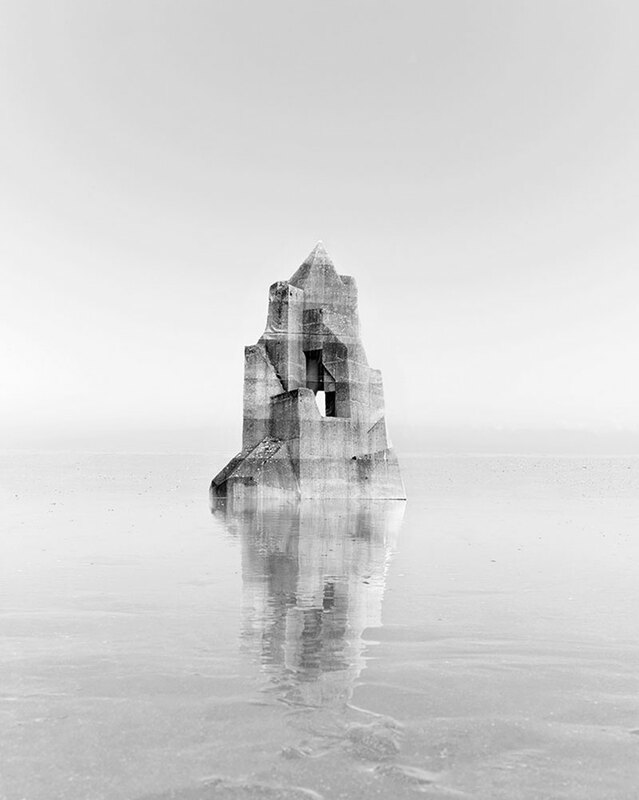 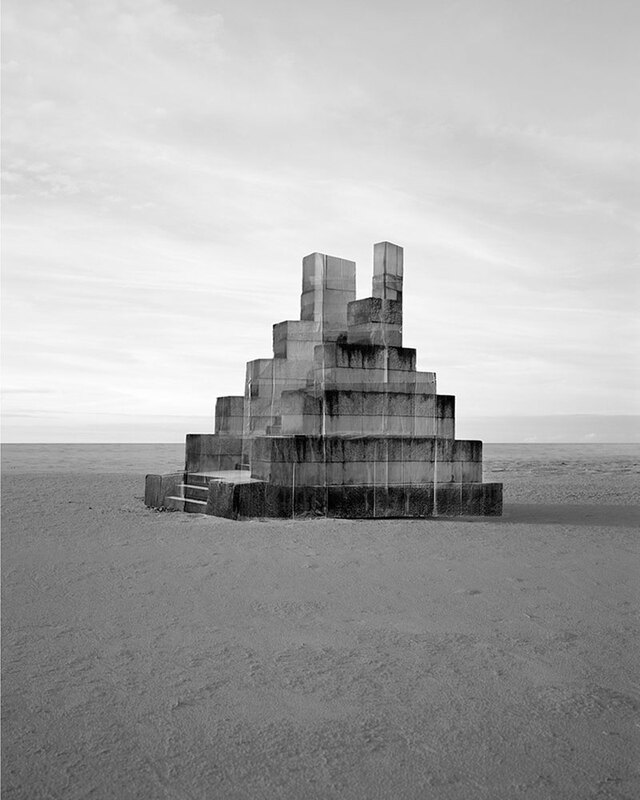 Photos of fictional concrete structures set against desolate landscapes by French photographer and installation artist Noémie Goudal. 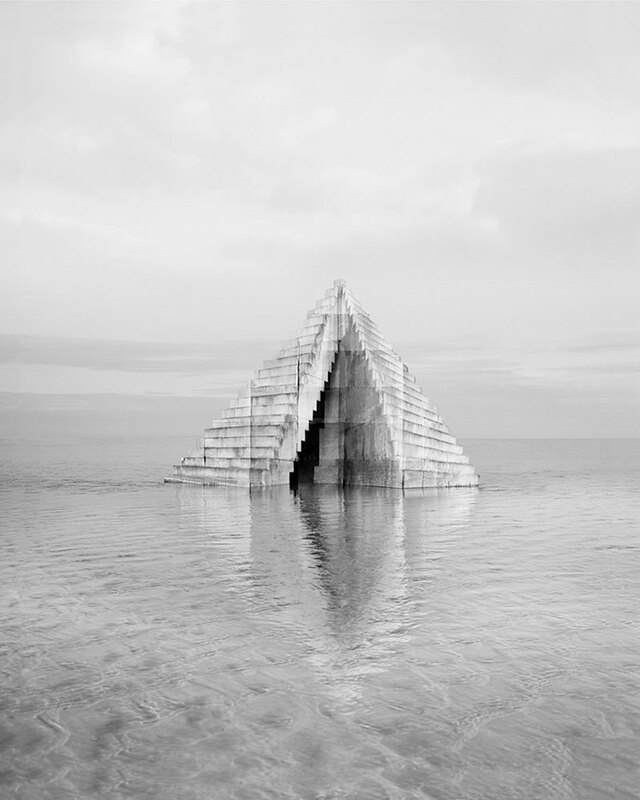 Her process involves photographing an architectural element and digitally reworking the image before printing it out and mounting on a solid structure, such as a wood block, that matches the shape of the building. 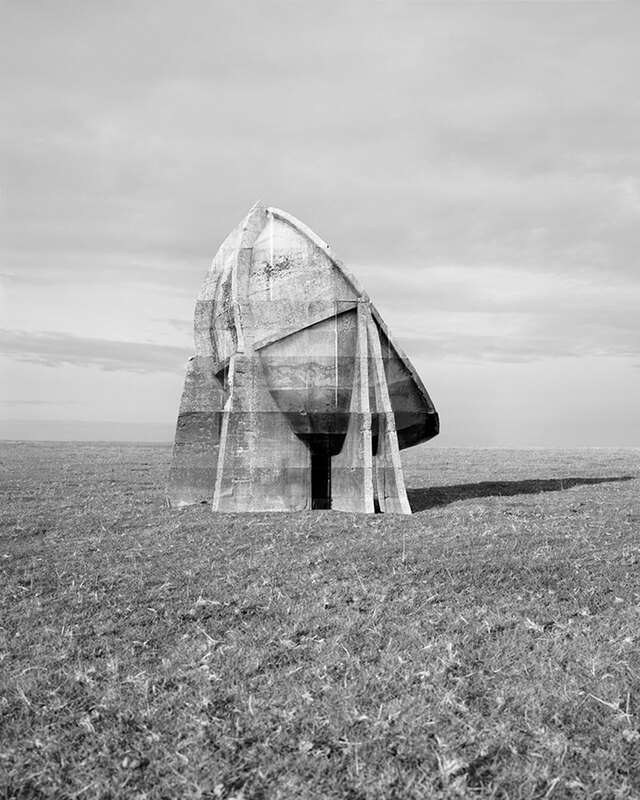 The constructions are then set on a real landscape which she re-photographs to make it look like the structures have always been there. 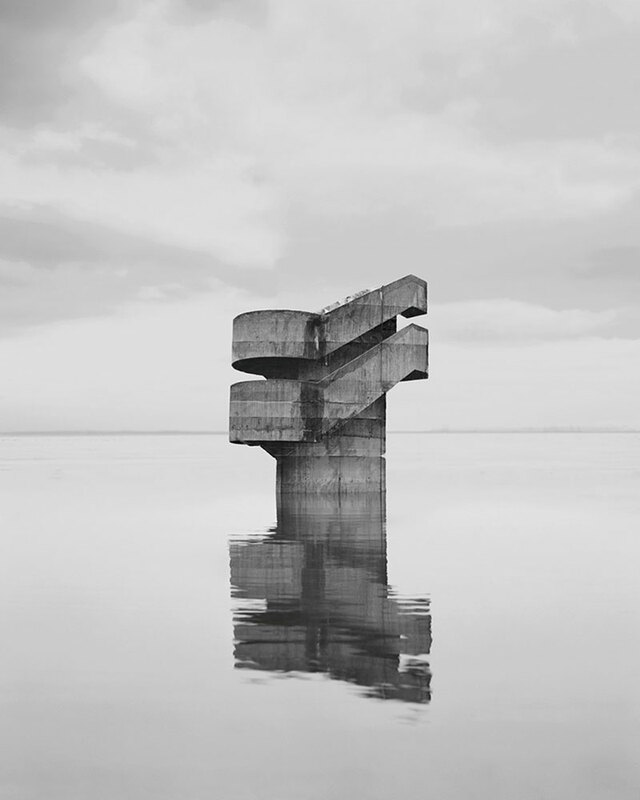 Influenced by the works of Bernd and Hilla Becher, the series catalogues a group of imagined rather than real architectural monuments that explores her curiosity with ritual structures designed to frame the solstice as well as her fascination with concrete, the defining material for both modernist and fascist architecture. 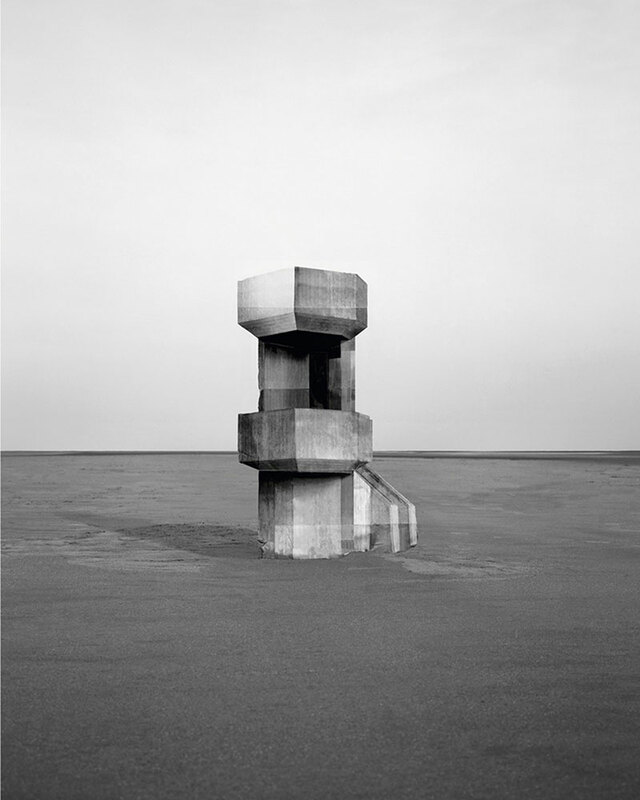 Photos of fictional concrete structures set against desolate landscapes by French photographer and installation artist Noémie Goudal.